Faith cannot be given a brand name, nor can it be the monopoly of a few privileged people. 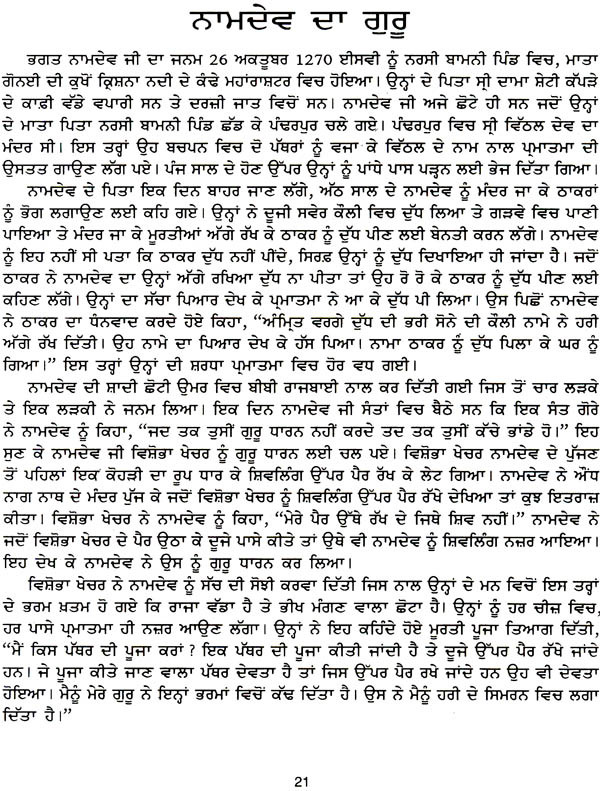 This was clearly shown by Guru Arjan Dev when he compiled the holy Guru Granth and installed it in Harmandir (Temple of the Lord  Golden Temple) on 30th August, 1604 AD. Besides the compositions of the Sikh Gurus, he included in the holy book, hymns by fifteen saints. They belonged to different states and wrote in languages they spoke. In their diversity of place, religion, caste, creed and occupation, they were bound by a common link of devotion to the Lord, who is not bound by the narrow divisions mankind has created. All these saints considered this universe, the creation of One Supreme Being and preached universal love and devotion to Him to attain Eternal peace. Those saints, through their teachings, tried to stop injustice being committed in the name of religion. Their teachings got many to give up hypocrisy and tyranny. Yet they were only saints and could not force any tyrant not to commit tyranny. They could only plead. 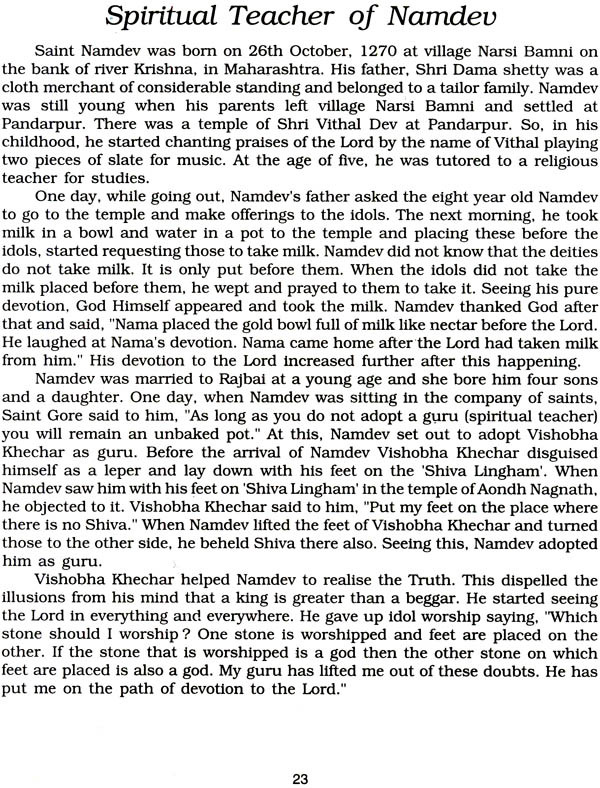 They did not combine power with meditation yet surely they had ideas about it, as Saint Kabir says, "He who fights for the downtrodden is brave in reality. He does not retreat though he be cut joint by joint." Hindu religion can be called Brahminism because its leaders, the Brahmins exploit all the other castes for their benefit. They have invented rituals and beliefs to defraud people in the name of religion. The saints did not like the treatment meted out to low castes by the Brahmins and their ruling out education and meditation of the Lord for them. Islamic priests were no different from the Brahmins as they had the government at their back. In order to have their way, they issued decrees in accordance with their wishes. As such, besides the displeasure of selfish religious leaders, the saints had to bear the repression of the government which is indicated in their verses. 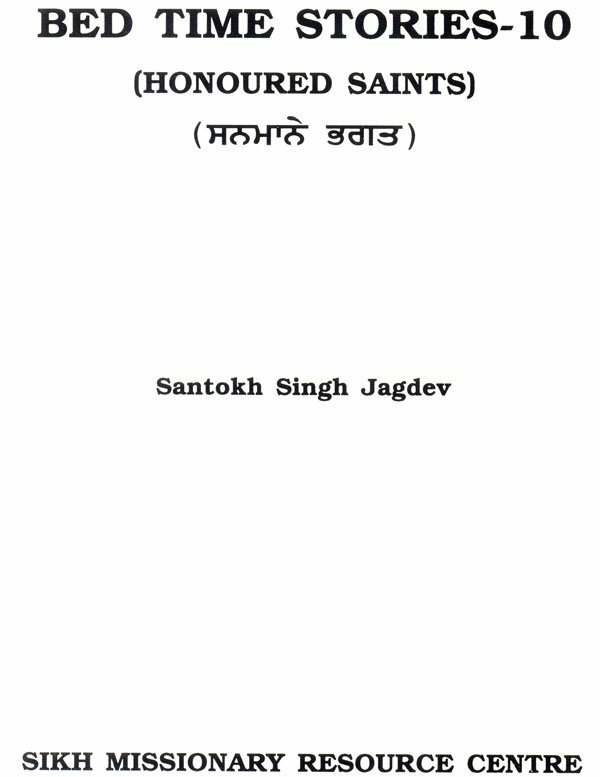 S. Santokh Singh Jagdev, in this book, has tried to bring out through brief anecdotes about the lives of these saints, their thinking, their devotion to the Supreme Being, their teaching of universal brotherhood and their peaceful struggle against tyranny and injustice being perpetrated in the name of religion. In the present day world when humanity is badly divided by dissensions in the name of faith, region, language and state, a lot of blood is being shed in the name of religion. To counter bigotry and fanaticism which are fighting hard to defeat saner elements of tolerance and brotherhood, the teaching of the saints is all the more relevant and needs wide propagation. Faith cannot be given a brand name, nor can it be the monopoly of a few privileged people. This was clearly shown by Guru Arjan Dev when he compiled the holy Guru Granth and installed it in Harmandir (Temple of the Lord–Golden Temple) on 30th August, 1604 AD. Besides the compositions of the Sikh Gurus, he included in the holy book, hymns by fifteen saints. They belonged to different states and wrote in languages they spoke. In their diversity of place, religion, caste, creed and occupation, they were bound by a common link of devotion to the Lord, who is not bound by the narrow divisions mankind has created. All these saints considered this universe, the creation of One Supreme Being and preached universal love and devotion to Him to attain Eternal peace. Those saints, through their teachings, tried to stop injustice being committed in the name of religion. Their teachings got many to give up hypocrisy and tyranny. Yet they were only saints and could not force any tyrant not to commit tyranny. They could plead. They did not combine power with meditation yet surely they had ideas about it, as Saint Kabir says, "He who fights for the downtrodden is brave in reality. He does not retreat though he be cut joint by joint." Hindu religion can be called Brahminism because its leaders, the Brahmins exploit all the other castes for their benefit . They have invented rituals and beliefs to defraud people in the name of religion. The saints did not like the treatment meted out to low castes by the Brahmins and their ruling out education and meditation of the Lord for them. Islamic priests were no different from the Brahmins as they had government at their wishes. As such, besides the displeasure of selfish religious leaders, the saints had to bear the repression of the government which is indicated in their verses. 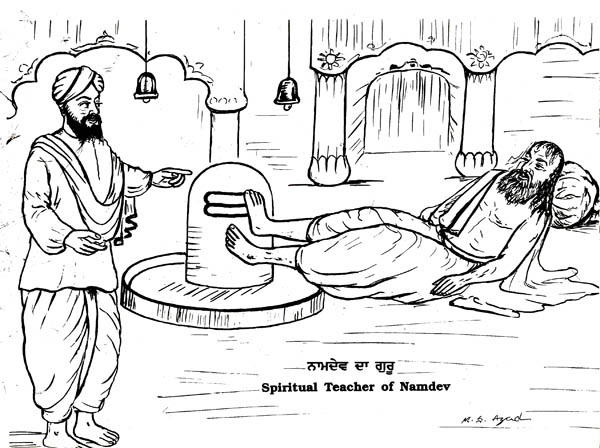 S. Santokh Singh Jagdev, in this book, has tried to bring out through brief anecdotes about the lives of these saints, their thinking, their devotion to the Supreme Being, their teaching of universal brotherhood hand their peaceful struggle against tyranny and injustice being perpetrated in the name of religion. In the present day world when humanity is badly divided by dissensions in the name of faith, region, language and state, a lot of blood is being shed in the name of religion. To counter bigotry and fanaticism which are fighting hard to defeat saner elements of tolerance and brotherhood, the teaching of the saints is all the more relevant and needs wide propagation.